Today, January 6, is the officially recognized birthday of Jehanne Darc (more commonly known as Joan of Arc), the 15th century peasant girl who led the armies of Charles VII of France to a string of victories against the English and subsequently was burned at the stake after being convicted of heresy. Born on this date in 1412 (or thereabouts), she came out of nowhere to rouse a listless Dauphin and his dejected knights to a renewed confidence in France’s national destiny, a faith that they had relinquished many years earlier after a series of defeats at the hands of the English. Martyrdom at the age of nineteen guaranteed her an historical immortality. 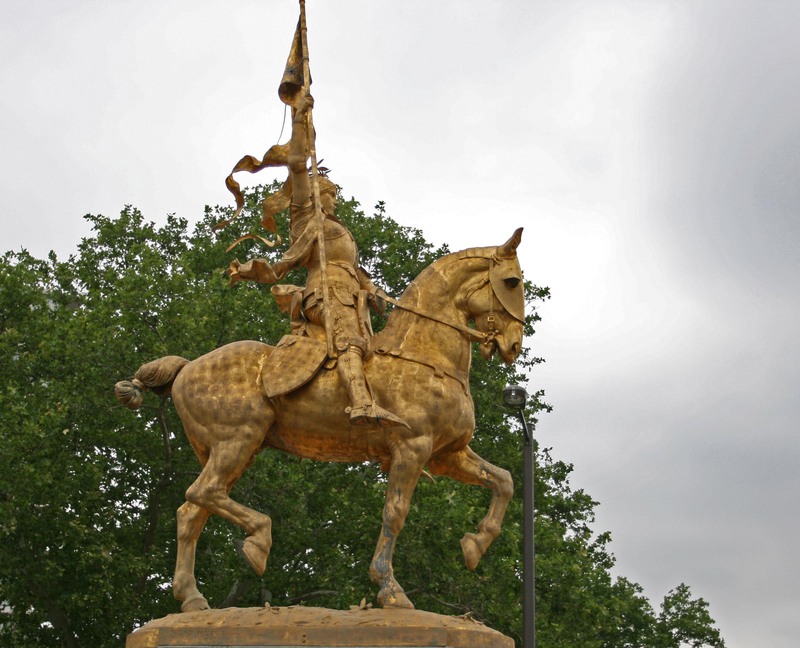 Over the past six centuries countless books, poems, operas and movies have been dedicated to telling Joan of Arc’s story, including my own An Army of Angels in 1997. Artists, it seems, cannot get enough of her. No doubt she would have found that unbelievable. Even more astonishing, the notion that people in 2012, living in countries that didn’t exist when she was alive, would still remember her. But we do. Happy Birthday, Jehanne La Pucelle. Thanks for sharing, Pamela. It is amazing that such long ago figures and stories are still so vibrant and enticing.